The voluptuous Esther Wiley has always known that she is special. She’s a tiara-wearing, wand-carrying kind of Cinderella princess in disguise. The problem that her very own Fairy Godmother, the Prophetess Mother Reed, struggles with is getting her to live like it. Briggs Stokes is the reluctant heir to his father’s worldwide, multimillion-dollar televangelist ministry, yet he yearns to be his own man. His past mistakes have caused him a private life of hurt and loneliness. Esther and Briggs meet and develop a deep soul connection, until tragedy strikes and the two are thrust apart. Their separation leads each down a different path scattered with emotional minefields. 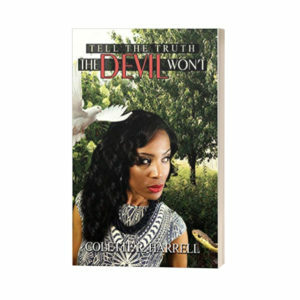 While each step they take brings them closer to who they were always meant to be, the devil is on assignment. He sends in reinforcements to usher in confusion and create chaos, and soon no one is safe. The members of Love Zion church reel from the rumors, innuendo, and downright sabotage that is going on around them. When others devise evil schemes to seek the destruction of Esther and Briggs through jealousy, greed, and murder, only divine intervention can save them. As an all-out battle for dominion breaks out in the heavens, will Esther and Briggs become a casualty of war?